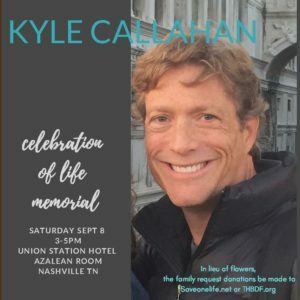 September 9, 2018 – LA Kelley Communications, Inc.
I’m in Nashville, waiting to board my flight home, leaving behind many hemophilia community members who came to pay tribute to a fallen giant, Kyle Calla han. 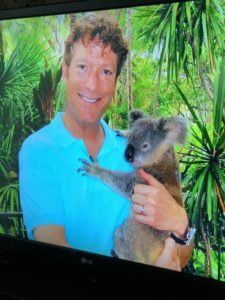 Kyle, a 52-year-old with hemophilia, passed away suddenly on August 26. For a man who had survived so much in his life, and engaged in outrageous adventures and high-speed fun, it was stunning news. Nashville baked in 90° weather when I arrived yesterday afternoon; I hurried over to Union Station, a magnificent building and scene of Kyle and Diane’s wedding 24 years earlier. 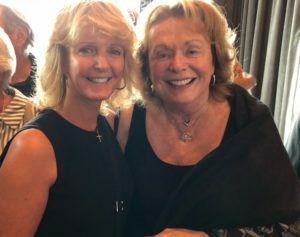 It was healing to see so many people in our community that I’ve known for decades and admire: Craig Mears and wife Kelly, John Jarratt, Dianne (Martz) Griffith (Kyle’s mother), Louise Hardaway, who helped Dianne set up her original business in 1980 (and is mother-in-law of Pat “Big Dog” Torrey), and more. Our community runs deep in memories, connections and affection. Inside the big room where we gathered was a head table filled with memorabilia: A Harley Davidson sign, a signed football, a photo of his beloved Doberman, a collage of the many adventures he and his wife Diane shared. Kyle was born in South Dakota, but always revealed a bit of a southern accent, after living in Nashville most of his life. I met Kyle in 1992, after first meeting Dianne, his mother, who had just started Hemophilia Health Services, a specialty pharmacy that prided itself on the “human factor.” More than just a slogan, HHS was the booth at NHF meetings that had soft colors, music, chairs and warm representatives. Dianne created a new way of providing factor to customers, with a high-touch, personable approach. My first meeting with Kyle is imbedded in my mind: a tall, good-looking 26-year-old who looked years younger, with strawberry-blond hair, freckles and a dazzling smile. About 7 years later, Dianne retired and Kyle was nominated by the board to become president. I wondered how this “young man” could possibly take on this responsibility? He assumed responsibility and would later rocket HHS to become the largest hemophilia specialty pharmacy in America. Fro m revenues of $30 million to over $1 billion. I watched Kyle grow, and he became a friend, a colleague, mentor and supporter of my work. I needed an article reviewed for accuracy; Kyle agreed to do it. I needed a book reviewed—Kyle again agreed! I needed to interview a captain of industry about changing insurance—Kyle again. 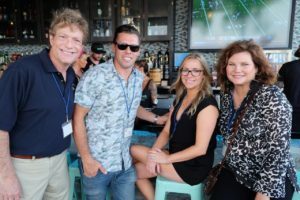 I wanted to set up a factor donation program to stop the waste of unwanted factor—Kyle invited me to Nashville to learn how their operations ran. That tour became the basis of how we constructed Project SHARE, so we were in compliance. And that came in handy when one morning at work I looked up, and an FDA agent named Jason was staring down at me, badge in hand, because he heard we were shipping “drugs.” We sailed through our first inspection with flying colors. HHS collected factor that patients returned, and donated them to us. Kyle helped fund the program, which continues today, and which has given over $130 million worth of factor to developing countries. When I wanted to start a child sponsorship program, Save One Life, Kyle again agreed to help support us. And he and Diane sponsor 17 children with hemophilia in developing countries. But above and beyond all this, the most important, most impressive things about Kyle were not so quantifiable. That charming man with the dazzling smile I met in 1992 never once wavered in civility, humility, and kindness. And he endured much; at one NHF meeting, I barely recognized him. I’m afraid I stared when I saw him; he was so gaunt from his illness. But still, that smile. That charm. He always was gentle. He always was available. He seemed to carry no baggage; he was present, in the moment, focused on whoever he was with. He laughed easily and smiled perpetually. He was the real deal. That’s called integrity. Kyle and I connected on helping others less fortunate, but also on the lighter side of things. We were both adventurers, and I loved reading about his adventures and he liked knowing mine. I joke that he flew planes; I jump out of them. He drove race cars; I tried cooking. We both loved traveling to foreign places, the more exotic the better! I always tried to send him a birthday card each June, except for last year when I confessed I was climbing a volcano in the Congo; he gave me a pass! After he retired for a time, before he started a new venture, he and Diane took a few years to travel the world. I have Christmas cards of them in Egypt, sitting on camels; holding a koala bea r in Australia. When I learned he and Diane were going to Antarctica, I was so excited for them and envious—it’s a place I have always wanted to visit. I’m a voracious reader about polar exploration. Following an NHF meeting, waiting at the airport, I shared my knowledge of polar exploration and especially the Shackleton story. Kyle assured me they were going to South Georgia island to see his grave. It’s a hunk of rock that contained an old whaling station. Would it be possible to send me a postcard from there (in case I never get there myself)? Not long after I received a postcard of Ernest Shackleton’s gravesite from Kyle and Diane. That is kindness itself. The postcard seems to be a calling card now, to get with it, and live life like Kyle. Our days are numbered, and no one knows when we will depart. 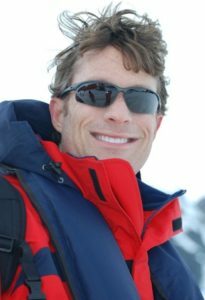 Kyle flew planes, scuba dived, drove race cars, was a pilot, drove a Harley, commanded a beautiful yacht. And through all of it, he never lost his gentle grace, his smile, his zen-like composure, his kindness, his humility. He never said a bad word about anyone. And no one, not even his competitors, ever said a bad word about him—an amazing feat in the specialty pharmacy business. Everyone who spoke yesterday said the same thing: he was perhaps the kindest person you could ever meet. Kyle’s message to me seems to be: 1) Live each day to the fullest, 2) chase your dreams; they can come true! and 3) be kind. Always. To everyone. Good-bye Kyle, and thank you for leaving the world a better place. More adventures await you, and we will try to catch up with you one day! 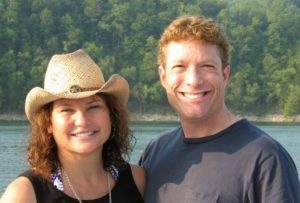 Diane Callahan has asked that donations in Kyle’s name be made to www.SaveOneLife.net, or to the Tennessee Bleeding Disorder Foundation.